Before internal combustion engines, people used steam engines to move trains and boats. Have you ever watched a teapot bubbling? You probably noticed lots of steam coming out of the teapot. Some teapots even whistle when the water starts boiling. Watching a teapot can help you understand how a steam engine works. Working of a simple steam engine. There’s a fire box on a steam engine locomotive. A fireman loads coal into the fire box and burns it. The coal burns at 1400 degrees Fahrenheit. That’s really hot! A water tank sits next to the fire box. The heat from the coal causes the water to boil. As the water boils, it produces steam. The steam builds up in pressure and causes pistons to move. The pistons are attached to rods and the rods are attached to wheels. As the pistons move, the rods and wheels move and the train moves forward. Thomas Savery built the first steam engine in 1698. Thomas Newcomen made it a little better. James Watt improved the steam engine in the mid-1800s, so it was really useful. From the mid-1800s to the early 1900s, steam-powered engines were very popular. Steam engines powered trains, boats and even huge ships. 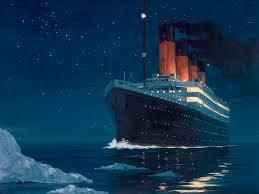 The Titanic was steam powered. People even made steam cars. Coal is a dirty fuel that produces big clouds of gray or black smoke. Internal combustion engines are cleaner, which is why people don’t use steam engines very much anymore. Many trains are powered by electricity, which is cleaner than gasoline. From the mid-1800s to the early 1900s, steam-powered train engines were very popular. The Titanic was also a steam powered ship. A an old cartoon video of a steam engine train. 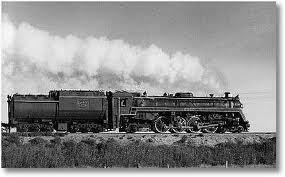 Question: Are steam engines still used today? Answer: Steam turbine engines are used to generate electricity and nuclear power. Enjoyed the Easy Science for Kids Website all about Steam Engines info? Take the FREE & fun all about Steam Engines quiz and download FREE Steam Engines worksheet for kids. For lengthy info click here. Declan, Tobin. " 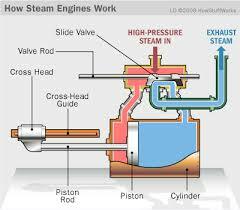 Facts About Steam Engines - Easy Science For Kids ." Easy Science for Kids, Apr 2019. Web. 21 Apr 2019. < https://easyscienceforkids.com/all-about-steam-engines/ >.